Pistol Pete’s Homework Basketball Ball Handling is an in depth training video as taught by Basketball Hall of Fame Legend, Pistol Pete Maravich. Pete will instruct you through a series of drills, tips, and exercises that will undoubtedly increase your ball handling skills. Pete began developing these drills when he was young under the instruction of his father, Press Maravich. Press spent a lifetime coaching basketball and now you have the chance to benefit from his years of knowledge and experience coaching basketball. 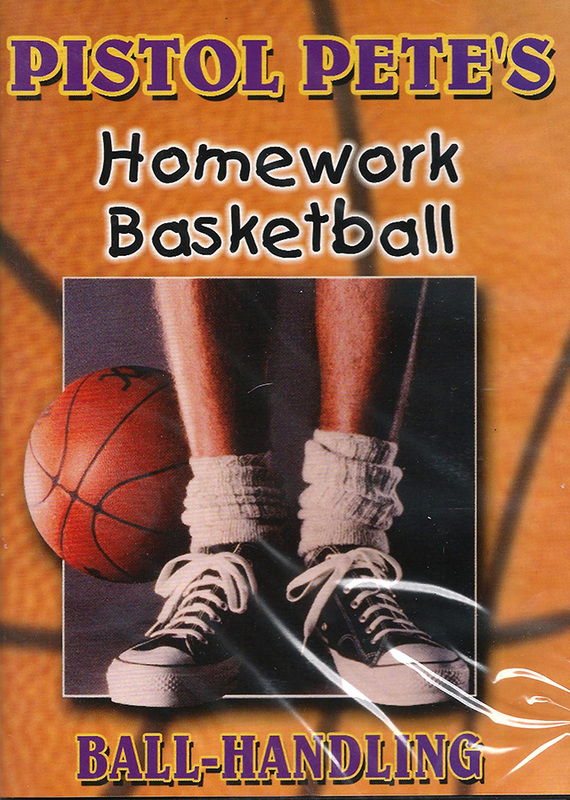 Pistol Pete’s Ball Handling is only one of four DVDs in the Homework Basketball instructional series.